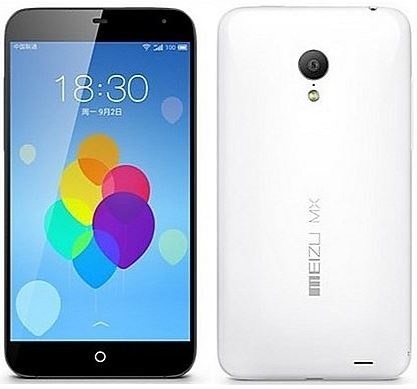 Meizu which is a popular company in China has released its latest smartphone naming it MX4 which is very similar to the iPhone 6 which is to be released this month and the leaked pictures of the iPhone 6 are very similar. Launching their Flagship smartphone MX4 Meizu has brought a great looking and designed device which has a similar home button on the front like iPhone. Not just the design but the device also has some amazing specifications. The device runs on Android KitKat 4.4.4 with the companies Flyme 4.0 skin over it and comes with a 5.36 inch Full HD or 1080p display which has a resolution of 1920×1152 pixels resolution. The pixel density is also great with 418 ppi density and screen ratio of 15:9 which is a bit different. The device runs on Mediatek MT6595 Octa-core processor which has a ARM Cortex-A17 processor and four Cortex-A7 processors. It has 2GB of RAM and devices come in 16GB, 32GB and 64GB version and the pricing varies. It also has a 20.7MP camera having LED flash ans can capture 4K videos with the camera. There is a 2MP front camera. It has 4G support and 3G along with Bluetooth and Wifi it has Dual Band 2.4 and 5GHz Wifi support which suggests in its expansion to other countries following the foot steps of Xiaomi which has been quite successful in India. It runs on an impressive 3,100 mAh battery giving it quite good battery life. At $300 the device is a very good offering from the company and it is also giving its users 40TB cloud storage with Meizu MX4. 64GB version will cost you 2399 yuan ($390). The device is launched just before the launch of he iPhone 6 which will be priced at almost double of what this is being offered at so for iPhone lovers who cannot get their hands on iPhone 6 can go for this look alike which runs on Android and looks like iPhone 6.